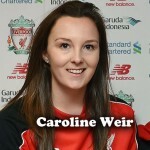 Women’s World Football Show, Episode 140 features an exclusive interview with West Ham United midfielder and 2-time FAWSL champion Kate Longhurst; a special Australia report with TheWomensGame.com Editor Cheryl Downes. Also on the show, a discussion about the recent move of the Seattle Reign FC and other compelling NWSL news; Christine Sinclair poised to break the all-time goal-scoring record and news from Canada training camp; a look at New Zealand Women’s National Team roster for Cup of Nations (including the return of Abby Erceg); FAWSL and W-League reports; and MORE! Listen to Patty discuss the beginnings of WWFShow, the state of women’s soccer, and more on Jason Broadwater’s On the Touchline podcast. 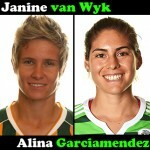 Follow Women’s World Football Show on Twitter, Facebook, Instagram, and our blog at wwfshowblog.com. 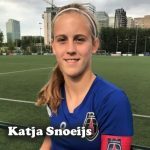 Listen to Women’s World Football Show on Apple Podcasts, iHeart Radio, Spotify, TuneIn Radio, Google Play, Stitcher, Soundcloud, and direct from our website at www.WWFShow.com.